The Diamer Bhasha Dam project is receiving widespread criticism due to the affects it is having on local Gilgit communities. The Pakistani government has been pushing the development of the dam as being progressive and beneficial for all. However, the people of the illegally occupied territory of Gilgit-Baltistan (GB) are the ones who face the most immediate consequences of such a large-scale project. 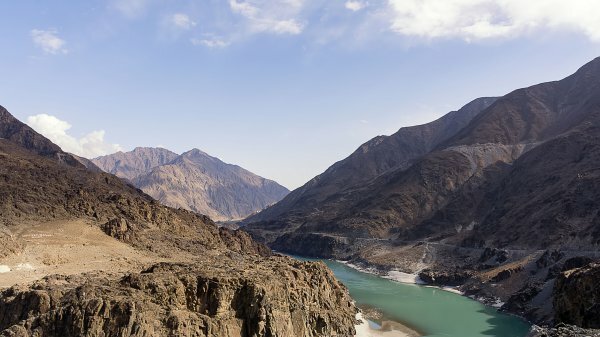 The territory of the Gilgit-Baltistan region is critical in order for the project to take place, however the Government has both neglected to take into consideration the opinion of local communities and to compensate them for the dam’s land acquisition. Demanding immediate arrangements for resettlement, Diamer Basha Dam Affected People Committee president, Attaullah called a press conference in Gilgit Press Club in the illegally occupied territory of Gilgit-Baltistan. Addressing the press conference, he lambasted Pakistan's Water and Power Development Authority (WAPDA) officials of designing a ploy to disentitle Gilgit-Baltistan public of any compensation. "The promises that were made earlier must be fulfilled," Attaullah declared, adding, "a lot of money has been involved in this. They (the Government) are pushing us to [the] outskirts. They say they will provide us plots. We cumulatively rejected their proposal. More than 30 representatives from affected villages are present here. We do not want to go from here. We do not want to go out of Diamer. We want to live in Gilgit-Baltistan. The agreement that was done should be followed." "Our talks are 'on'. We will protest against them. They will have to consider our demands, without it they cannot build dam here," he added. More than 90 per cent of land acquisition for the Diamer Basha Dam Project has been completed, however, no compensation has yet been paid to the affected public in Gilgit-Baltistan. On the other hand, the Chief Justice of Pakistan, Mian Saquib Nisar discrediting the governance and the public of Gilgit-Baltistan, commenced a donation campaign for Diamer Basha Dam Project. The act drew a widespread criticism from the commoners who had given their lands and property for the sake of this mammoth project. "The Supreme Court and government (Pakistan) look active on the issue of construction of Diamer Basha Dam," said Attaullah. "But it is unfortunate that the highest court that claims of protecting rights of people has not taken any step to rehabilitate the affected public," he added, accusing that "the Supreme Court and WAPDA are creating apprehensions among the public in Gilgit- Baltistan. Uncertainty and apprehensions are looming large among the public in Gilgit-Baltistan. Pakistan's Diamer Basha Dam project has not only ravaged the natural resources of the illegally occupied territory but also left a large number of homeless and poverty-stricken.